For the Full Bliss Experience, Check Out These 5 Things Onboard! The wait is over! Norwegian Cruise Line’s (NCL) newest addition, and largest ship in their fleet, the Norwegian Bliss is here and ready to take you on your dream vacation. With so much to see and do on and off board, this is the perfect ship for anyone and everyone. Read below to find out the five things you shouldn’t miss to secure the full Bliss experience, plus find out where the Bliss can take you. If you’ve been meaning to watch the Tony Award-winning musical, Jersey Boys, but never had the chance – your opportunity is here. Not familiar? This musical follows the true story of Frankie Valli and the Four Seasons. Make sure to catch it while you’re onboard – it’s a Bliss exclusive. Definitely, don’t miss this if you’re an adrenaline junkie. Zoom past your friends on this two-level race track – the largest at sea. Take a moment to appreciate the view, it’ll be a blur of blue once you’re in the car. If you’re looking for a spot on the Bliss with amazing views, you must visit the Observation Lounge. 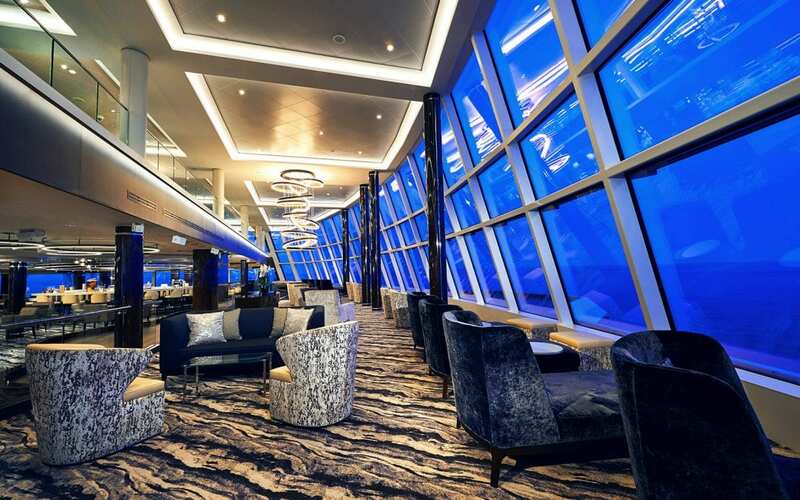 This indoor lounge has floor-to-ceiling windows, 180° views, and “interactive screens that will help identify every incredible view.” So, sit back, have a drink, and enjoy the scenery. If you’re looking to spend your summer gazing at glaciers and watching the whales in awe, luckily for you, the Bliss can help you get there. During Summer 2018, the Bliss will sail out of Seattle and cruise through Alaska on two itineraries – Alaska Highlights and Alaska with Glacier Bay. The Bliss will then sail through the Caribbean in the fall and winter, where she’ll call Miami home. As of press time, The NCL Bliss continues her inaugural journey, heading up to Los Angeles before ending up in Seattle for her christening on May 30.